I just published my latest eBook. I wrote it months ago just for myself, but debated whether or not I should put it on Amazon. My other three eBooks are about things I’ve learned and truths that you can count on when dealing with narcissists. This is just plain old–my story. I kind of felt a bit narcy myself thinking people might want to read what happened to me, but at the same time, I know that I have purchased so many people’s stories on Kindle. And every time I read one, I am so validated and relieved to know that I am not alone. So, I hope that my story validates your experiences, too. Who knows, maybe someone who is an abusive relationship with a narcissist or sociopath but doesn’t know it yet will find their own story and realize they need to escape. The narcopath only physically assaulted me once, but the terror of the rages, road raging and his ongoing aggression was even worse than the physical attack. It was enough that I was numb with shock and ended the marriage within seven weeks. It has been said many times that the most dangerous evil comes disguised as everything you have ever wanted. It’s true. We see movies and we think of bad guys as people who are clearly evil and ugly…and very obvious. We think they will wear dark colors and ski masks. We think sociopaths are cold-blooded murderers. We believe we can recognize predators when we see them. But when you get involved with a sociopath, everything you thought you knew will be discredited. Yes, they are cruel, but no, they are not obvious. They are charming, romantic, promising, dashing, enigmatic, attractive, tempting, funny, smart, clever, witty, interesting, well-dressed, handsome, and more. They look like your dream lover or your soul mate. They seem that way to many, if not most, people who meet them. That’s why when they begin terrorizing you and you see their true selves, you are often left shocked and dazed and wondering what is wrong with you that causes them to change so drastically. You struggle to change and make them happy to bring back that wonderful lover that you met, but that soul mate isn’t coming back. It wasn’t real. The trauma and abuse is the real sociopath and they have taken off the mask they used to draw you in. 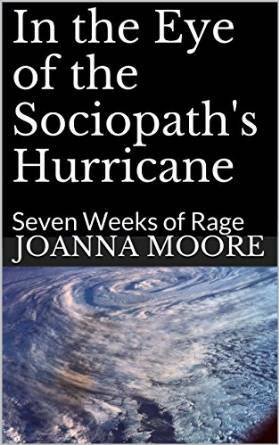 This is my story of meeting, marrying, and dealing with a raging narcissistic sociopath.